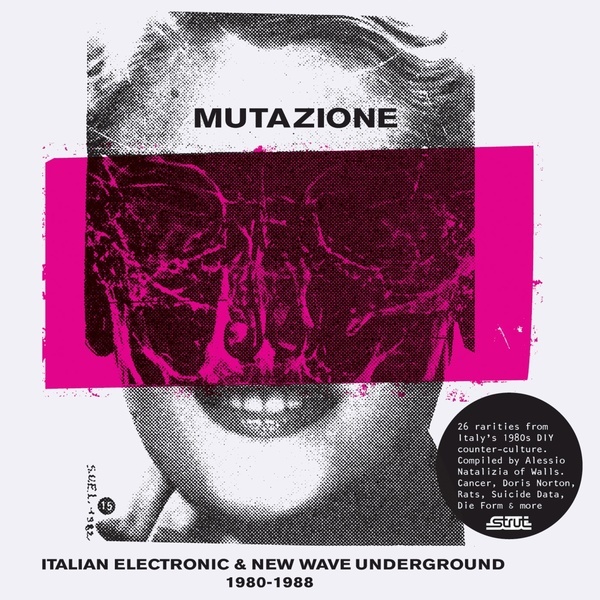 Just when you thought there was no minimal synth music from the 80s left to excavate and parade before contemporary ears, Strut invite Kompakt's Anglo-Italian shoegazers Walls to dig a little deeper and come up with 13 obscurities from the early-mid-80s Italian underground. As earlier compilations from the Mannequin label have taught us, the country no one calls The Boot gave birth to a disproportionate number of synth-pop, new wave and electronic acts in the 80s, and some names featured here you'll be familiar with: Die Form, whose crazed 'Are You Before' is a highlight, the Morgan Geist-approved, Devo-esque Gaz Nevada and industrial ambient godhead Maurizio Bianchi (the inclusion of his harrowing 'Auschwitz' is testament to the laudable reach and roundedness of this comp). As musician-DJs, not just nerd-collectors, Walls' Sam Willis and Alessio Natalizia have a really good ear for this stuff, and to be completely honest have found some real humdingers: check the stripped-to-the-bone proto-techno delirium of The Tapes' 'Nervous Breakdown', the dubbed-out metallic drum-march of Tasaday's 'Crisalide', the espresso-fuelled, electro-existential drama of Giovanotti Mondani Meccanici's, and an acutely gothic, exquisite vocal cut from recent Forced Nostalgia discovery La Bambola Del Dr Caligari. All in all a fantastically curated, educational and listenable compilation that we can see ourselves returning to again and again.